Gift your mummy this Irresistible 2.2 Lb. 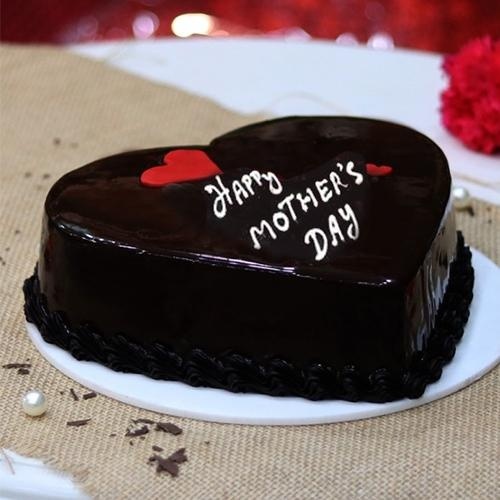 Heart-shaped Cake of Chocolate Flavor which will rekindle the loving gesture from her on this Mothers Day. We deliver freshly baked Cakes only after 11 a.m. as we get them ready from bakeries within that time.